NRE stands for NON-RESIDENT EXTERNAL. 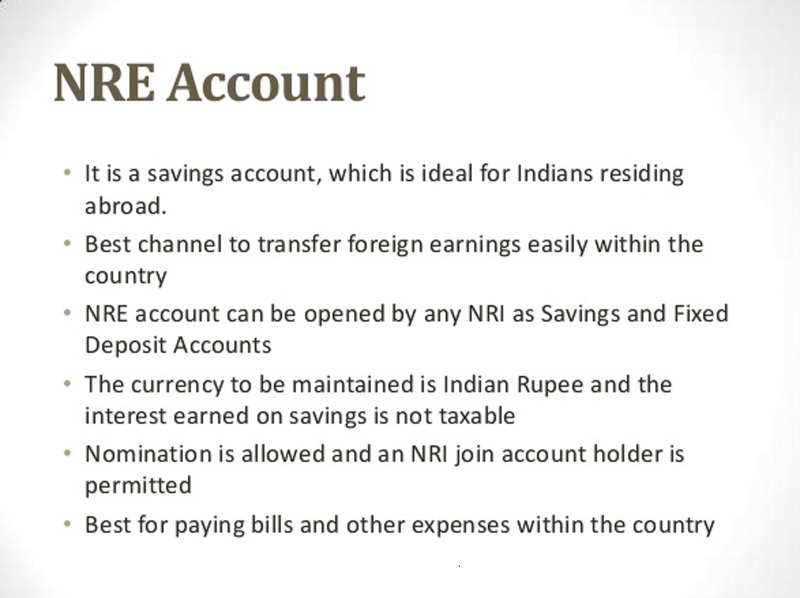 NRE is an Indian Rupee denominated account which gives complete security to the Non-Resident Indian. The funds in the Indian financial institutions could be in the form of saving, current, recurring or fixed deposits. These institutions allow efficient conversion and transfer of foreign and Indian Currency within and outside of India. They also give a reasonable rate of interest on these deposits. Let’s see Tax Liability of an NRE account. For example, an Indian who completes the eligibility criteria for being an NRI can open NRE account with the Indian Financial Institutions. It allows the account holders to convert foreign currency to Indian currency at the prevailing exchange rate on the date of conversion. The account holder can also send funds outside India. 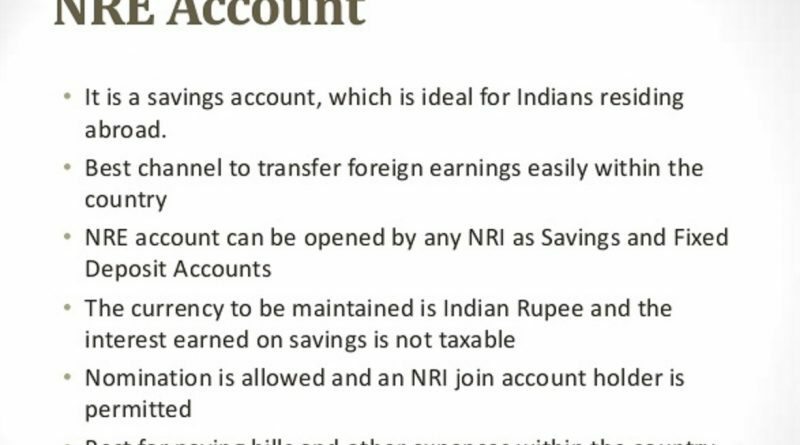 An NRI can deposit the amount earned in the NRE account opened in India. Such an account could be saving or fixed deposit account. The interest earned on NRE deposits is not taxable in India. As long as one continues to be an NRI or a resident but not ordinarily resident- the tax exemption will continue to apply on these deposits held by the NRI. However, the income which is earned in India by the NRI is required to be deposited in NRO (Non-resident ordinary) account and is taxable in India. The tax liability is the same for an NRI which applies to an Indian Assessee. Once the residential status of the NRI gets changed, NRE accounts are required to convert to Resident accounts. Query: The son of Mr. X is an NRI and is working in Muscat since 2000. His family also lives with him. As an NRI he has never filed an Income tax return and even not in possession of PAN or Aadhar card so far. From his NRE account, he has purchased an LIC Market Plus policy for Rs 5 lakh, on August 3, 2010, for 21 years. Presently, its surrender value is Rs 9, 28,000. He purchased one more policy from HDFC Standard Insurance under the HDFC Children Benefits Plan for Rs 5 lakh on March 10, 2004, for 15 years by paying Rs 33,115 as an annual premium. He has an NRE account with SBI. He also has NRE account inclusive of NRO account with ICICI Bank. Please advise Mr. X’s son how to assess tax liabilities? Interest earned by Mr. X’s son on NRE account is not taxable. However, the interest earned on NRO account with ICICI Bank is taxable. It will be taxable if the amount of such interest exceeds Rs 2,50,000. This amount is the limit up to which income tax is not payable by an assessee who is below the age of 60 years. Regarding LIC Master Policy, the maturity amount received shall not be taxable if the premium paid by him does not exceed 20% of the capital sum assured. The present surrender value is not taxable as the policy is still in continuation. The plan with HDFC Standard Insurance will also fall in the same category as the master policy taken from LIC.